Pour moi un kir, s’il vous plaît ! One of the biggest pleasures of dining out in France is being able to order a proper and simple kir, the most delicious of apéritifs, as far as I’m concerned! 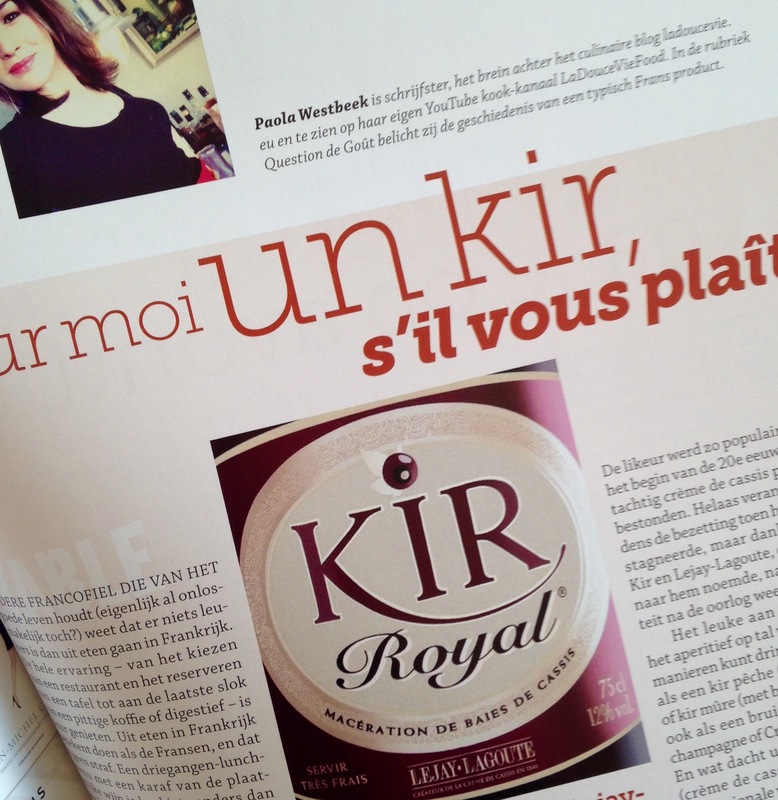 In the latest issue of France magazine En Route — which just hit the newsstands across the Netherlands this week — you can check out my column on page 77 and find out more about the history of the popular drink. 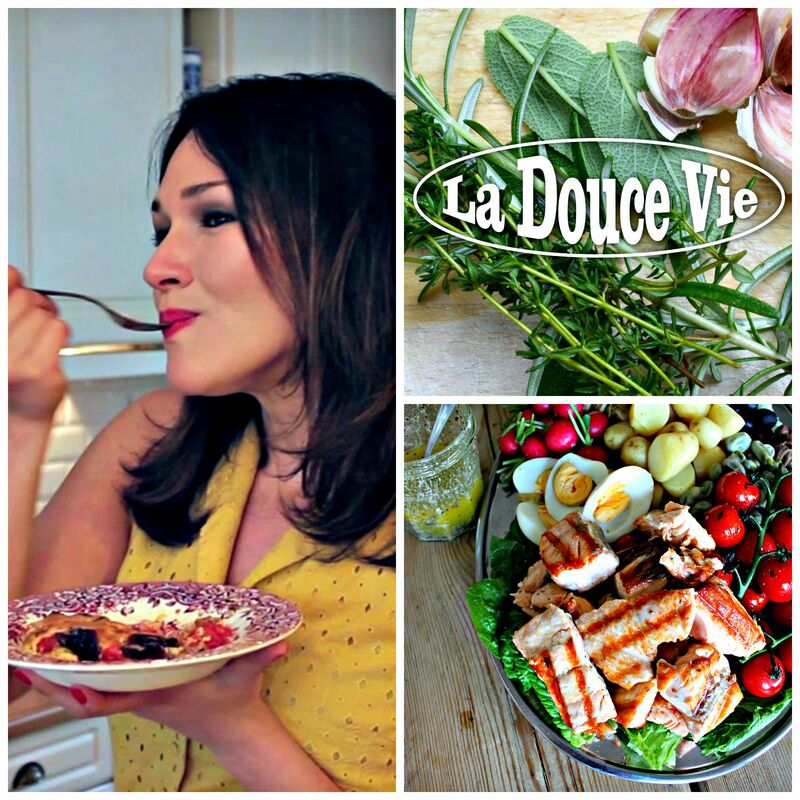 It is such a joy to write for this magazine because it gives me the opportunity to research one of the subjects I love most — French food & drink! Happy reading, happy weekend and tchin-tchin! I have been very busy recipe testing these last few weeks for a new project (more on that later!). Some recipes work brilliantly on the first try, while others fail miserably (at least in my opinion — I can be rather hard on myself). On Friday, I tried a recipe for porc en croûte, and I was everything but thrilled with the final result. So on Sunday it was back to the drawing table, and luckily, this one was a success. I will make it again at least a few times before it is ever published though. In my opinion, there is nothing more frustrating than kitchen failures which result from poorly written recipes that are not thoroughly tested. It is one of my culinary pet peeves and something I do not want to do to anyone who cooks one of my recipes! Sometimes, while I am working on one particular recipe, inspiration hits me to make something else. Like a side dish or a dessert, for example. It’s a good thing that I always have pen and paper on hand so that I can scribble away as I cook. As my successful porc en croûte happily baked away yesterday, I came up with the following recipe. 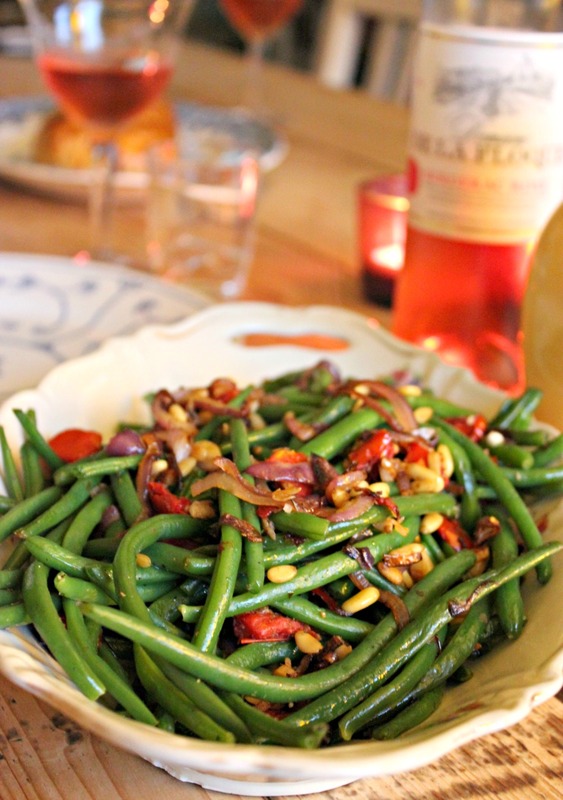 I am not particularly fond of green beans and find them rather insipid. Not at all the case if you make them in the following manner. I would also not hesitate to pair this dish with a roast chicken. PS: I am currently looking for recipe testers to help me out with my new project. Should this be of interest, please get in touch. Boil the green beans in salted water for approximately 4-6 minutes. You want the beans to remain crisp. In the meantime, melt the butter in a large frying pan and gently sauté the onions. Drain the beans and allow them to steam briefly. Add in the garlic, pine nuts and sundried tomatoes and cook while stirring for another minute or so. You want these flavors to remain present and vibrant in the dish. Add in your green beans and toss them through the mixture, seasoning them to taste with salt and pepper. 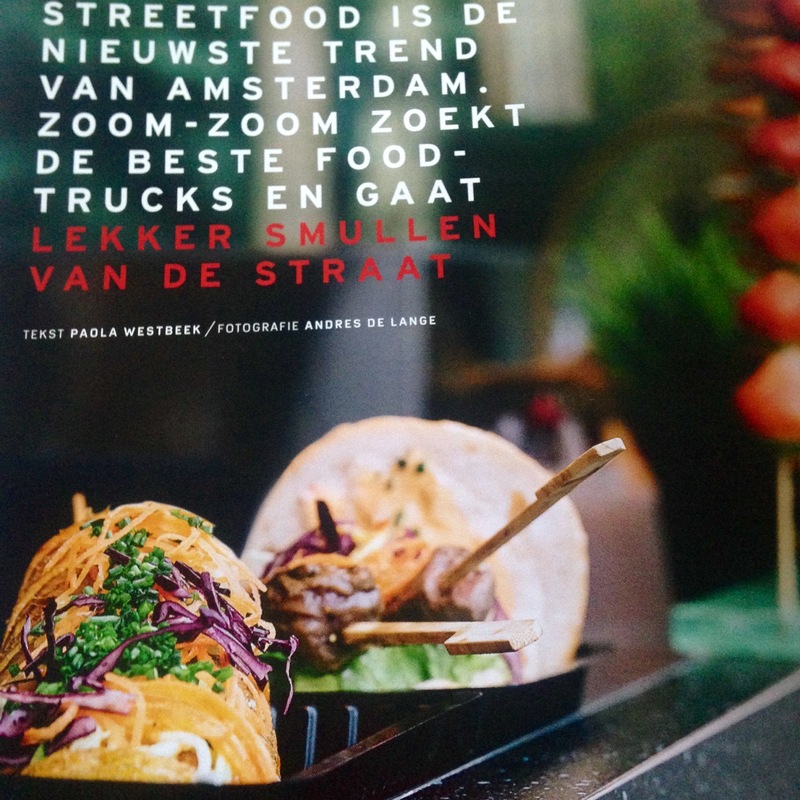 Foodtruck Pilot Amsterdam in Zoom Zoom! Somewhere at the end of last summer, I was contected by the deputy editor of Mazda’s Zoom Zoom magazine asking if I was interested in pitching them a lifestyle story. It didn’t take long for me to jump at the opportunity, and after a few weeks, I heard back that my pitch was accepted! 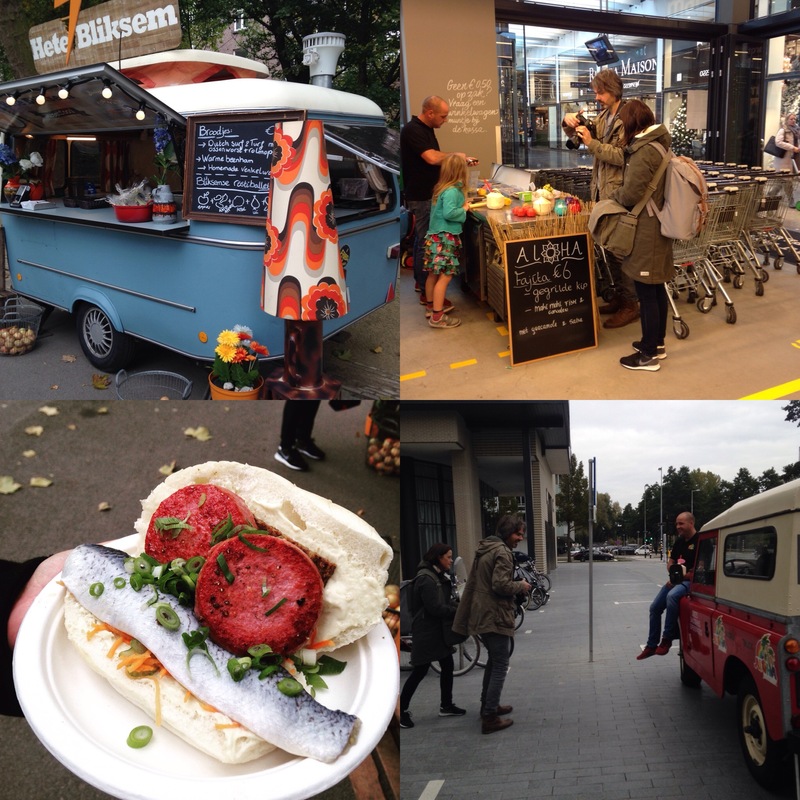 I was going to write about Amsterdam’s food truck pilot! 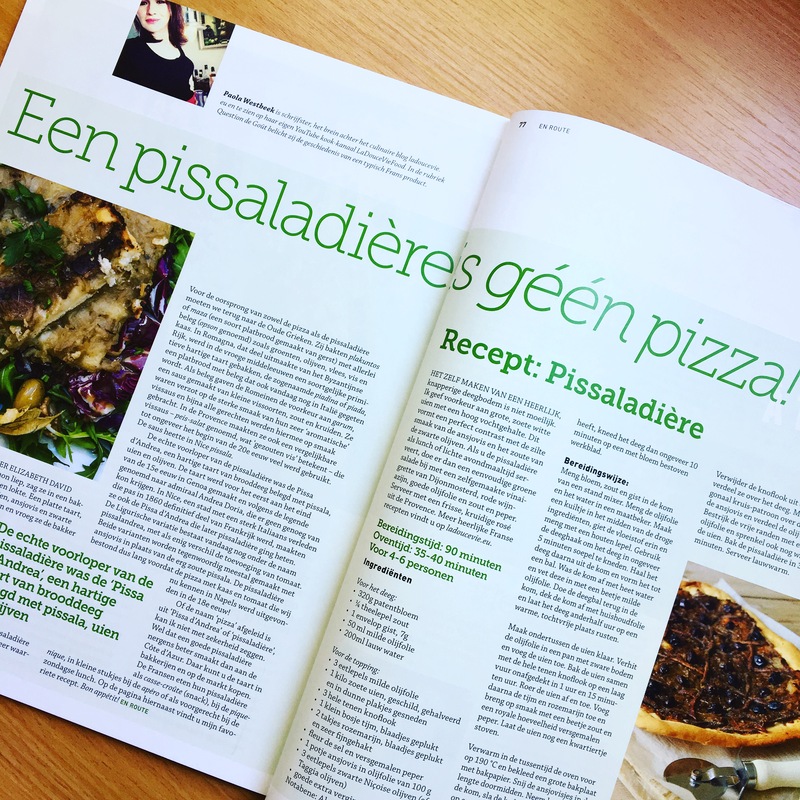 What ensued was a process of choosing the right candidates, conducting long interviews, writing, and finally a photoshoot in Amsterdam late last October (one of the most rewarding parts as I got to try lots of gorgeous food!). The issue has now been printed and is available at all Mazda dealers worldwide. It was one of the most exciting and fulfilling assignments I’ve worked on. 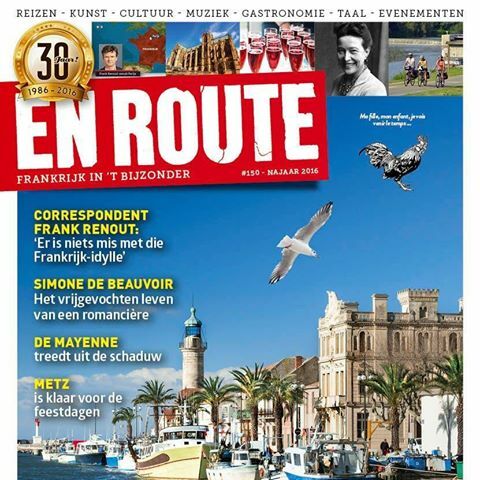 My thanks go out to Marcel Suijkerbuik of Aloha Juice Truck, Anne-Tu Nguyen of Everything on a Stick, Elmar Gerekink of Hete Bliksem and Mieke Jaring of Lousiana Canteen. It was a pleasure meeting and interviewing these four food passionates for this awesome assignment!